Children experience challenging learning environments without the pressures of excessive testing or unnecessary homework. Collaborative leadership skills are fostered from a young age. Students are encouraged to be confident, inquisitive and creative in all areas of life. 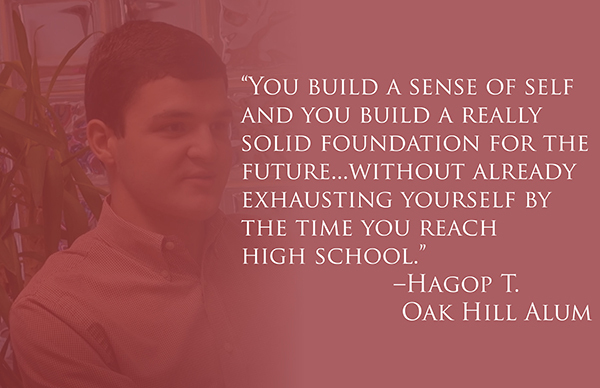 In a time where the word “stressful” is sometimes used to describe a child’s educational experience, Oak Hill is proud to be a different point-of-view, driven by one motivation, the students. We present challenging academics while valuing social skills as much as mathematic skills. 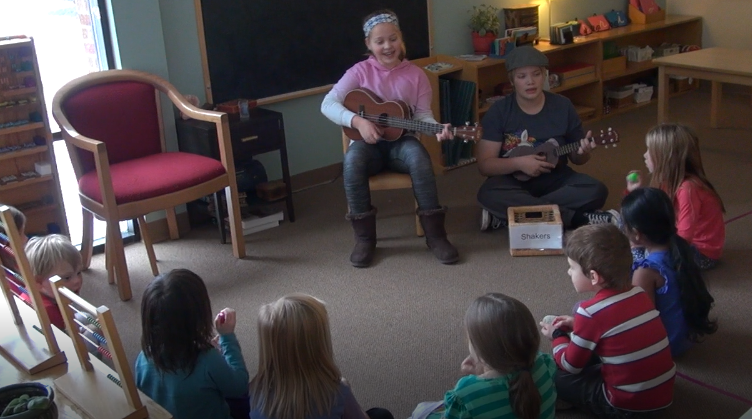 At Oak Hill, learning is enriched through art, music, recess and much more. We aren’t educating machines, we are educating people. Teachers often work in small groups, or one-on-one with children, which creates a high degree of individualized education. At the same time, children are a part of a thriving social community founded on respect for self, respect for others and respect for the world around them. The mixed age classrooms provide numerous advantages not found in traditional school systems. Older children serve as leaders while younger students are shown what is expected of them by their role models. Our responsive, long-tenured and caring faculty inspire students to become independent and passionate learners. Each teacher is empowered to create opportunities of discovery, observation and reflection for their students. All lead teachers have completed their AMI* Certification in addition to a bachelor’s degree or higher. 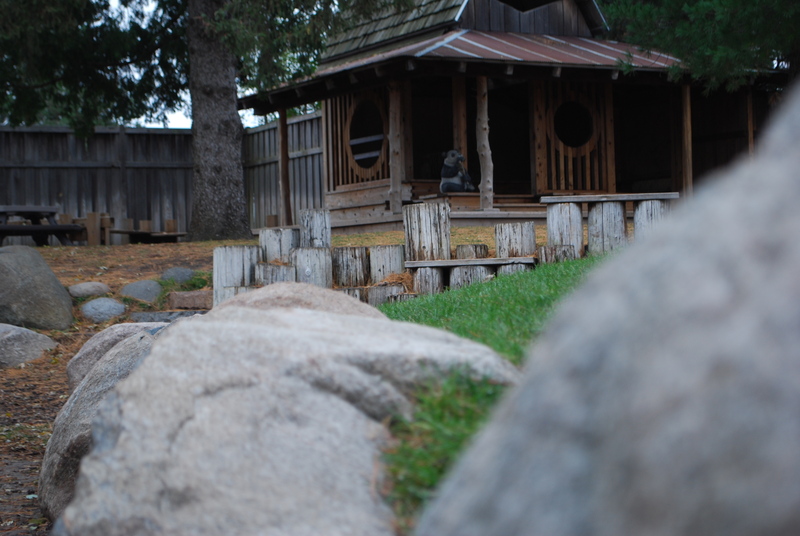 Our facility and its grounds were specifically designed as a Montessori learning environment to meet the developmental needs of children and inspire them every step of the way both in the classroom, and during free play. 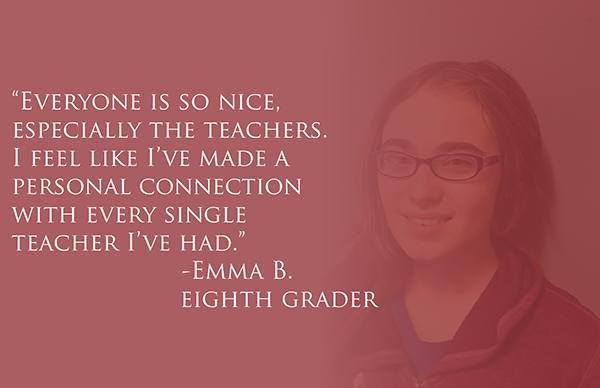 We invite you to come in and see for yourself the positive impact Oak Hill has on our students. 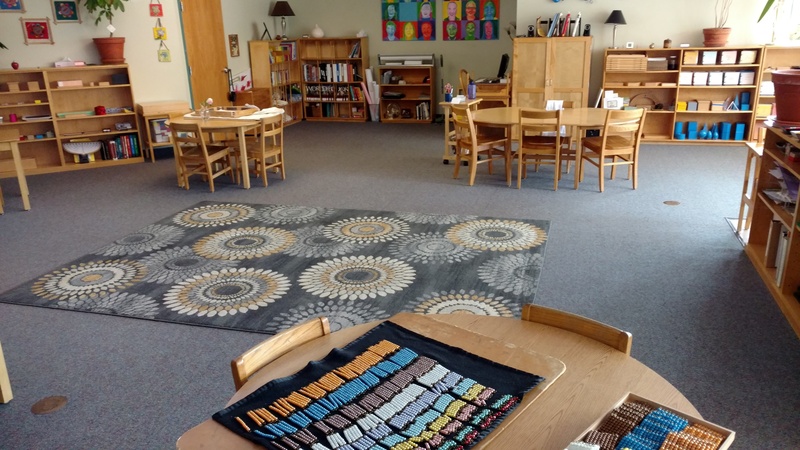 *Oak Hill Montessori is a private, independent, non-denominational, co-educational school recognized by the Association Montessori Internationale (AMI), the original organization created by Dr. Maria Montessori in 1929.